Perfect location in the heart of Phoinikoudes. Very friendly and helpful staff. Beautiful Seaview. Very high quality food available at nearby restaurants without paying high prices. Close to beach and market also very clean beach.i love it. Reception staff are excellent and linen was clean and sufficient. Staff (Maria) was excellent. Really helpfull if it was something. Nice room but need som more Kitchen Things to make som Food home. Thea pot and spoon to make friedeggs home. Good location. Close to anything, just on the Beach. Perfect location with the beach on your doorstep. The studio was larger than expected and very clean. Great value for money. Location is very central for the sea front experience and shopping. The apartment was an excellent size with good sea view and large balcony. The two bedroom apartment accomodates six people easily. The location is amazing! Literally close to everything. The restaurants down on the sidewalk, the beach in front of you, and the bus station right across the hotel. Wifi was great too. The service was good also. The reception lady was nice, she let us stay a bit extra because we were late! sorry this time it wasn,t comfort...neither the extra bed or the other beds. Lock in a great price for Sun Hall Beach Hotel Apartments - rated 8 by recent guests. Sun Hall Beach enjoys a privileged location, 50 yards from shops, bars and restaurants and 650 yards from Larnaca Fortress. Larnaca International Airport is around a 10-minute drive. The 24-hour front desk can arrange car rental. 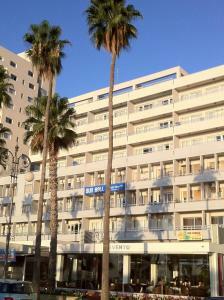 Sun Hall Beach Hotel Apartments has been welcoming Booking.com guests since 3 May 2011. When would you like to stay at Sun Hall Beach Hotel Apartments? This air-conditioned studio includes a kitchenette with a fridge, cooking hobs and kettle. Featuring tiled floors and pastel colours, the seating area comes with a flat-screen TV. Some units open to a furnished balcony with Mediterranean Sea views. Featuring 1 separate bedroom, this air-conditioned, spacious apartment includes a kitchenette with a fridge, cooking hobs and kettle. Fitted with tiled floors and pastel colours, the seating area comes with a flat-screen TV. 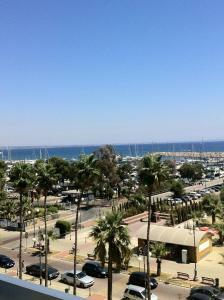 Some units open to a furnished balcony with Mediterranean Sea views. Featuring 2 separate bedrooms, this air-conditioned, spacious apartment includes a kitchenette with a fridge, cooking hobs and kettle. Fitted with tiled floors and pastel colours, the seating area comes with a flat-screen TV. Some units open to a furnished balcony with Mediterranean Sea views. Located on the 1st or 2nd floor, this air-conditioned studio includes a kitchenette with fridge, cooking hobs and kettle. Featuring tiled floors and pastel colours, the seating area comes with a flat-screen TV. Some units open to a furnished balcony offering partial views over the Mediterranean Sea or inland views. Featuring a separate bedroom, this air-conditioned apartment includes a kitchenette with fridge, cooking hobs and kettle. Fitted with tiled floors and pastel colours, the seating area comes with a flat-screen TV. 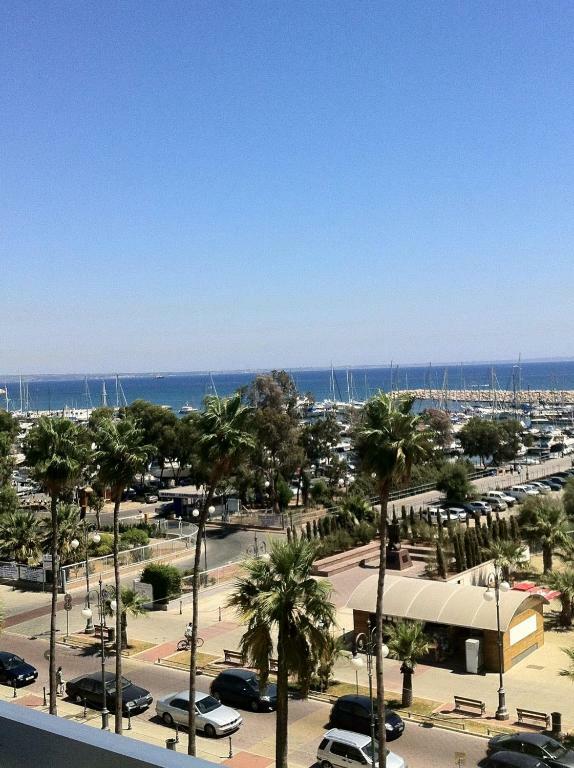 Some units open to a furnished balcony with unobstructed or partial views over the Mediterranean Sea. Located on the 1st floor, this air-conditioned, spacious apartment includes 2 separate bedrooms and a kitchenette with fridge, cooking hobs and kettle. Fitted with tiled floors and pastel colours, the seating area comes with a flat-screen TV. Some units open to a furnished balcony with unobstructed or partial views over the Mediterranean Sea. This apartment has a balcony, tile/marble floor and toaster. Sun Hall Beach Hotel Apts. offers 2-bedroom, 1-bedroom and studio apartments that can accommodate up to 4 guests and are equipped with all the comforts for a short or long stay in Larnaca. The mission of Sun Hall Beach Hotel Apts. is to make your stay as pleasant and comfortable as possible. Dear Guests. 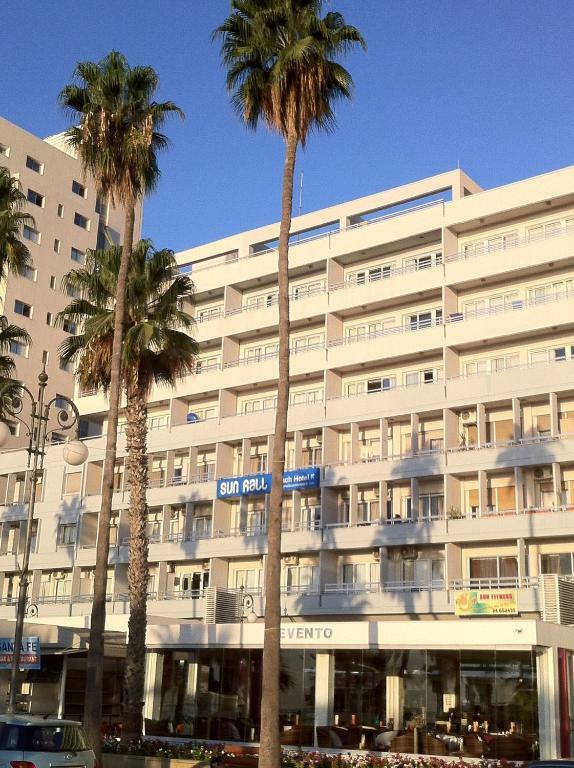 The great thing about our location is that we are in the middle of the town center of Foinikoudes, Larnaca. Right outside our first entrance are all the coffee shops and all types of restaurants and our second entrance leads to the shopping area of Ermou which has an enormous variety of clothes shops and many more. The events change depending on which month you would like to visit. Our staff at the reception area is very helpful on assisting you on any excursions or town places to visit providing maps and leaflets of any events occurring. This area is extremely safe and calming as the beach is right opposite our Hotel Apartments. I hope this assures you on whether you would like to stay with Sun Hall Beach Hotel Apartments. House rules Sun Hall Beach Hotel Apartments takes special requests - add in the next step! Sun Hall Beach Hotel Apartments accepts these cards and reserves the right to temporarily hold an amount prior to arrival. no hot water in the morning and evening. cold apartment, run down furniture. to hard beds. small TV 20", no clear pic from channels. filthy apartment. bad cleaning. Not enough cups. Not much hot water. Sea front location. Basic but adequate for a couple of days. I can't think of anything that needed improvement. The apartment badly needed renovating. In particular the bathroom. There was a lot of mold on the tiles and grouting. The staff were friendly and the location good. Receptionist was very friendly and helpful also food was really great. FURNITURE: dirty, old, not comfortable and missing … I don't understand in this business but they do not need to invest so much to made perfect apartment. The rest is OK. Location is perfect and apartment is big. We arrived late, around 1 am and check in was fast and efficient. Rooms clean and easy to get into.